Motorola XT319 is a budget friendly Android smartphone which has just made official by Motorola Mobility for the Hong Kong Market. Though it is an affordable phone yet it comes with impressive specs and feature.Hong Kongmobile users can buy it after paying HK$1688 ($217 or 157 EUR). It runs on Android 2.3 Gingerbread platform and on the top of this OS you will find the well known MOTOBlUR, Motorola’s proprietary user interface MOTO Switch. “Motorola Mobility’s new smartphones can do so much, they become a part of everyday life – an accessory in your hand, or a tool, on the tabletop. Motorola XT319 combines great style and features with hands-free flexibility so no matter what, it’s always ready to keep up with your life,” said Ritchie Ma, general manager of Motorola Mobility Hong Kong Limited, Hong Kong and Taiwan. Motorola XT319 Android Phone makes it feasible for the users to choose a theme of their choice from four different themes. Each theme comes with five desktops therefore permits the users to pick up to 20 possible configurations based on their preferences. Google Android OS will facilitate the users and let him to select a third party application for getting more customization option. For bringing fun into their life, they are free to install applications and games from Android market. Another attractive feature of Motorola XT319 Android smartphone is use kickstand which is located in the back cover. This kickstand allows the users to pick a hand free mode from five available modes such as SPB TV, music player, photo frame, clock alarm and file manager. 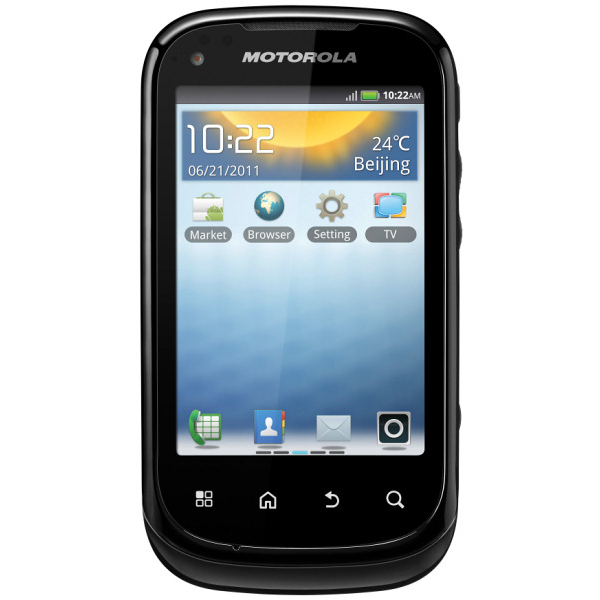 Motorola XT319 is available for purchase inHong Kongmarket for a price tag of HK $1688.